FYI: Affiliate links to Amazon are included in this post. As you might know, I am a huge reader. When I was little, I used to stay up late regularly with a book in my hand, wanting to know what was going to happen next. When the Harry Potter books released, I picked it up at midnight and stayed up all night to read. Think this was only for when I was young? Nope – stayed up to 4 am only last month to finish a book. With being such a book lover (and a former English teacher), I thought I would share my Summer Reading List with all of you. For one, I hope that this will encourage me to stick to it. Time gets away from me, and I sometimes forget to pick up my book which is a shame because reading helps recenter me. Two, I am hoping it might help you pick up a book, too! NOW – to the list! 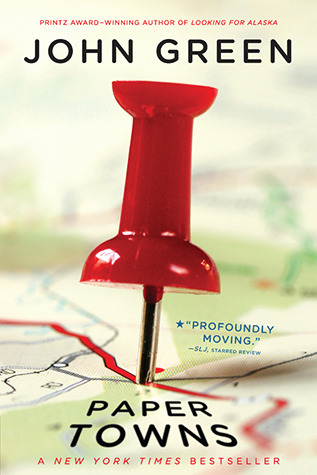 Why It’s on the List: The movie comes out this summer (end of July) and I love reading books before seeing the movies. Plus, I love John Green! Synopsis from Good Reads: Eleanor… Red hair, wrong clothes. Standing behind him until he turns his head. Lying beside him until he wakes up. Making everyone else seem drabber and flatter and never good enough…Eleanor. 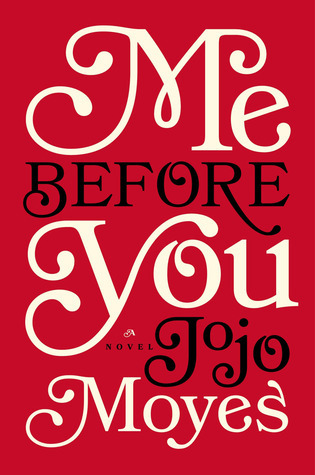 Why It’s on the List: This was the first on my summer reading list and already read! The characters are compelling, and it’s an easy read. Synopsis from Good Reads: American Rebecca Porter was never one for fairy tales. Her twin sister, Lacey, has always been the romantic who fantasized about glamour and royalty, fame and fortune. Yet it’s Bex who seeks adventure at Oxford and finds herself living down the hall from Prince Nicholas, Great Britain’s future king. And when Bex can’t resist falling for Nick, the person behind the prince, it propels her into a world she did not expect to inhabit, under a spotlight she is not prepared to face. 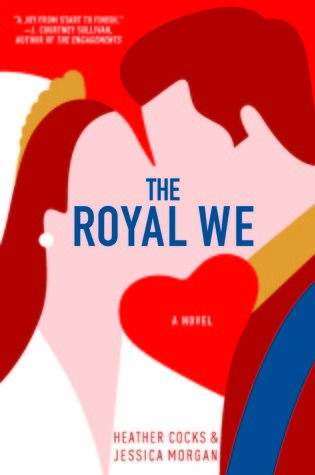 Spanning nearly a decade, The Royal We is a richly imagined, emotionally compelling novel that examines, with warmth and wit, what truly happens after your prince has come. Why It’s on the List: Who doesn’t want a fun love story in the summer? Synopsis from Good Reads: Under the Martial Empire, defiance is met with death. Those who do not vow their blood and bodies to the Emperor risk the execution of their loved ones and the destruction of all they hold dear. It is in this brutal world, inspired by ancient Rome, that Laia lives with her grandparents and older brother. The family ekes out an existence in the Empire’s impoverished backstreets. They do not challenge the Empire. They’ve seen what happens to those who do. But when Laia’s brother is arrested for treason, Laia is forced to make a decision. In exchange for help from rebels who promise to rescue her brother, she will risk her life to spy for them from within the Empire’s greatest military academy. 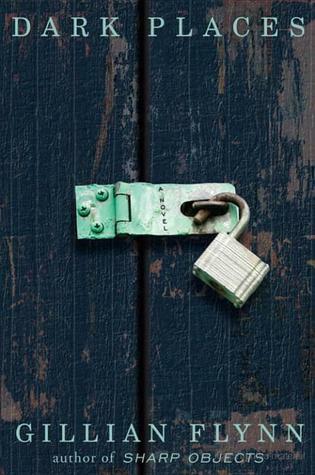 Why It’s on the List: I haven’t really met a dystopian, young adult lit story I didn’t like. Synopsis from Good Reads: In 1913, little Malka Treynovsky flees Russia with her family. Bedazzled by tales of gold and movie stardom, she tricks them into buying tickets for America. Yet no sooner do they land on the squalid Lower East Side of Manhattan, than Malka is crippled and abandoned in the street. 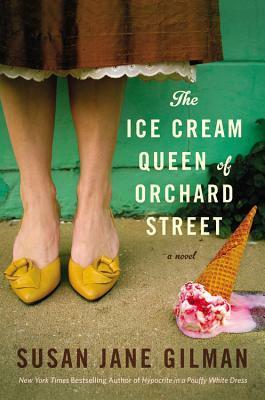 Taken in by a tough-loving Italian ices peddler, she manages to survive through cunning and inventiveness. As she learns the secrets of his trade, she begins to shape her own destiny. She falls in love with a gorgeous, illiterate radical named Albert, and they set off across America in an ice cream truck. Slowly, she transforms herself into Lillian Dunkle, “The Ice Cream Queen” — doyenne of an empire of ice cream franchises and a celebrated television personality. Lillian’s rise to fame and fortune spans seventy years and is inextricably linked to the course of American history itself, from Prohibition to the disco days of Studio 54. Yet Lillian Dunkle is nothing like the whimsical motherly persona she crafts for herself in the media. Conniving, profane, and irreverent, she is a supremely complex woman who prefers a good stiff drink to an ice cream cone. 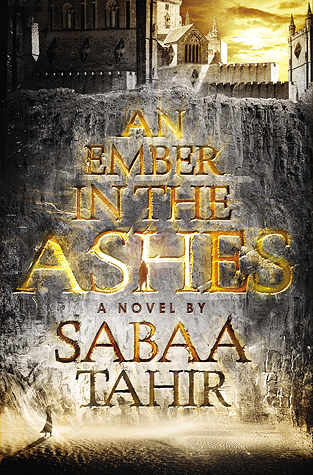 And when her past begins to catch up with her, everything she has spent her life building is at stake. Why It’s on the List: I love stories that follow the growth of a character, especially ones with a strong, complicated female lead. Synopsis from Good Reads: The story begins in 1962. 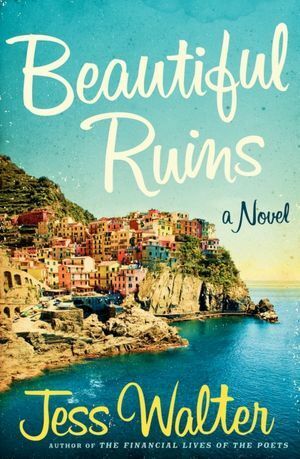 On a rocky patch of the sun-drenched Italian coastline, a young innkeeper, chest-deep in daydreams, looks out over the incandescent waters of the Ligurian Sea and spies an apparition: a tall, thin woman, a vision in white, approaching him on a boat. She is an actress, he soon learns, an American starlet, and she is dying. Why It’s on the List: I’ve heard strong reviews of the book from everyone who has read it, so I am giving it a try. 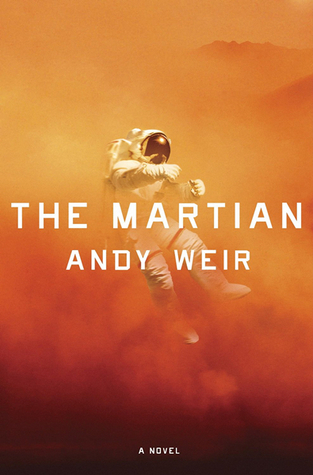 Synopsis from Good Reads: Six days ago, astronaut Mark Watney became one of the first people to walk on Mars. Now, he’s sure he’ll be the first person to die there. After a dust storm nearly kills him & forces his crew to evacuate while thinking him dead, Mark finds himself stranded & completely alone with no way to even signal Earth that he’s alive—& even if he could get word out, his supplies would be gone long before a rescue could arrive. Chances are, though, he won’t have time to starve to death. The damaged machinery, unforgiving environment or plain-old “human error” are much more likely to kill him first. But Mark isn’t ready to give up yet. Drawing on his ingenuity, his engineering skills—& a relentless, dogged refusal to quit—he steadfastly confronts one seemingly insurmountable obstacle after the next. Will his resourcefulness be enough to overcome the impossible odds against him? Why It’s on the List: This has been on my list for awhile. We are big sci-fi fans and this seems to promise a big space adventure. Synopsis from Good Reads: Lou Clark knows lots of things. She knows how many footsteps there are between the bus stop and home. She knows she likes working in The Buttered Bun tea shop and she knows she might not love her boyfriend Patrick. What Lou doesn’t know is she’s about to lose her job or that knowing what’s coming is what keeps her sane. Why It’s on the List: Another book on the list with amazing reviews! Plus, last night (after the list had already been created) my mother-in-law said it was a must read. Synopsis from Good Reads: Libby Day was just seven years old when her evidence put her fifteen-year-old brother behind bars. Since then, she has been drifting. But when she is contacted by a group who are convinced of Ben’s innocence, Libby starts to ask questions she never dared to before. Was the voice she heard her brother’s? Ben was a misfit in their small town, but was he capable of murder? Are there secrets to uncover at the family farm or is Libby deluding herself because she wants her brother back? She begins to realize that everyone in her family had something to hide that day… especially Ben. Now, twenty-four years later, the truth is going to be even harder to find. Who did massacre the Day family? Why It’s on the List: I am someone slightly on the fence about Gone Girl and the ending, but I’ve heard people liking this one more! I’m willing to give it a try. Synopsis from Good Reads: Having fled a difficult home life, Civil War nurse Abigail Stuart feels like her only friend in the world is sweet but gravely wounded patient Jeremiah Calhoun. Fearing he won’t survive, the Confederate soldier’s last wish is that Abigail look after his sickly sister at home. Marry him, return to his horse farm, and it’ll be hers. 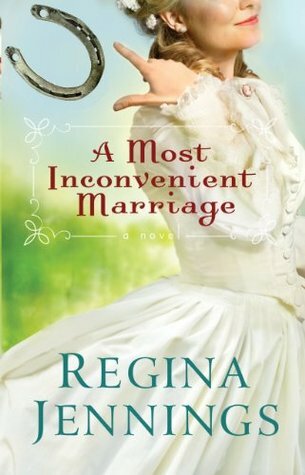 Left with few choices, Abigail takes him up on his offer and moves to Missouri after his death, but just as the family learns to accept her, the real Jeremiah Calhoun appears–puzzled to find a confounding woman posing as his wife. Jeremiah is determined to have his life back to how it was before the war, but his own wounds limit what he can do on his own. Still not fully convinced Abigail isn’t duping him, he’s left with no choice but to let the woman stay and help–not admitting to himself she may provide the healing his entire family needs. Why It’s on the List: I love a historical novel and I love a good romance. Enough said! Synopsis from Good Reads: Foolish love appears to be the Roux family birthright, an ominous forecast for its most recent progeny, Ava Lavender. Ava—in all other ways a normal girl—is born with the wings of a bird. 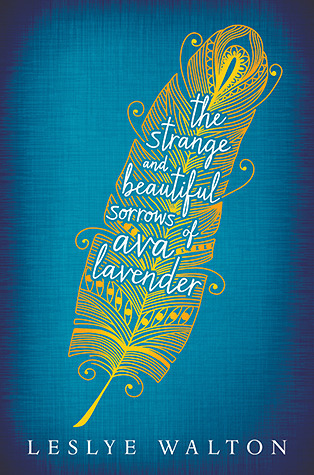 In a quest to understand her peculiar disposition and a growing desire to fit in with her peers, sixteen-year old Ava ventures into the wider world, ill-prepared for what she might discover and naïve to the twisted motives of others. Others like the pious Nathaniel Sorrows, who mistakes Ava for an angel and whose obsession with her grows until the night of the Summer Solstice celebration. That night, the skies open up, rain and feathers fill the air, and Ava’s quest and her family’s saga build to a devastating crescendo. Why It’s on the List: I love a little magical realism and fantasy aspects, so I’m intrigued by this choice. 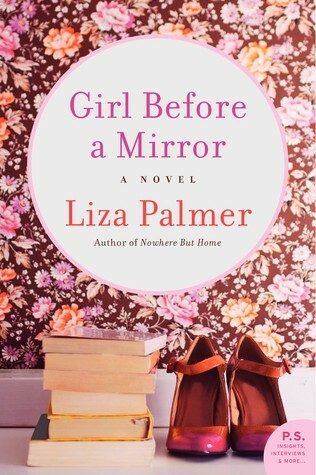 Synopsis from Good Reads: The hilarious and heartfelt story of a woman who must learn how to be the heroine of her own life-a journey that will teach her priceless lessons about love, friendship, family, work, and her own heart. An account executive in a Mad Men world, Anna Wyatt is at a crossroads. Recently divorced, she’s done a lot of emotional housecleaning, including a self-imposed dating sabbatical. But now that she’s turned forty, she’s struggling to figure out what her life needs. Brainstorming to win over an important new client, she discovers a self-help book—Be the Heroine, Find Your Hero—that offers her unexpected insights and leads her to a most unlikely place: a romance writers’ conference. If she can sign the Romance Cover Model of the Year Pageant winner for her campaign—and meet the author who has inspired her to take control of her life—she’ll win the account. Why It’s on the List: It had me at “learn how to be a heroine of her own life”. Plus, I love this author. Why It’s on the List: This book is on the list because of my mom. We have very similar tastes in reading, and if she says she stayed up late trying to finish it, then I definitely need to read it! What’s on your list?! What caught your interest? Just added a couple of these to my Goodreads and followed you on IG! 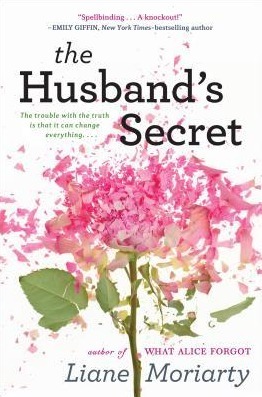 I loved The Husband’s Secret! 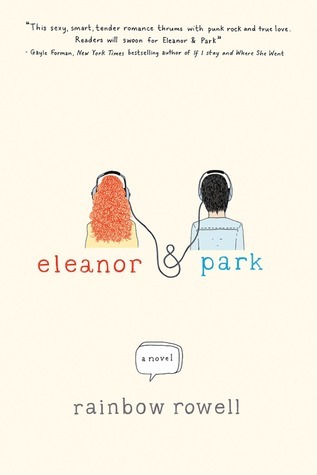 I wasn’t impressed with Eleanor and Park. I felt like it was too young for me.